Pardon our incomplete page, we are working to develop a page with our commercial equipment and financing link. Our goal is a one stop shop with your equipment and easy financing with a 20% discount off MSRP Stay tuned for some awesome deals. NEWCO brewing solutions have been providing some of the finest coffee brewing applications for 40 years. The experienced gained with the advanced food service technology will provide an easy of beverage services not imagined years previously. Your NEWCO Coffee, Tea and Cold Beverage options are second to none. Peruse the NEWCO Catalog through the link above. 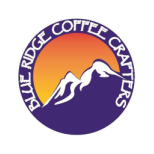 Then set an appointment with your professional beverage consultant here at Blue Ridge Coffee Crafters and discover the affordable quality of the finest coffee,tea and cold beverage solutions in the industry today. Email us at blueridgecoffeecrafters@outlook.com to arrange ​your appointment today!